Tyrell Houghton directed the Beef offense to its most productive game of the season, while the Beef defense played its most complete game to date. 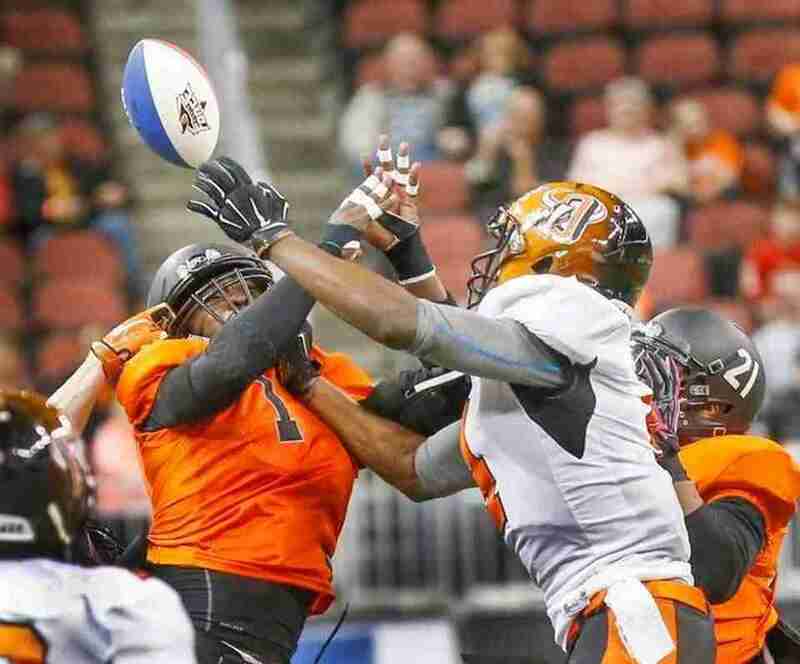 But the Wichita Force offense scored when it had to, led by running back Tywon Hubbard, and pulled away in the fourth quarter to win, 59-42. After a 49-7 pasting a week ago, Omaha turned in a resilient performance, fighting back from deficits of 7-0, 14-7, 21-14, 27-21, 34-28 and holding a lead late into the third quarter, before running out of gas in the fourth. In his first career start at quarterback, and just eight days after signing with the Beef, Houghton accounted for 163 total yards and five touchdowns. With Houghton at the helm, the rebuilt Beef offense looked vastly different compared to when the teams played two weeks ago. In game one, the Beef passed for 166 yards and 4 TDs, while rushing for 42 yards and 2 TDs, en route to a season high 42 points. This time, the Beef running game was dominant, establishing season-highs in rush attempts (26), rushing yards (127), rushing TDs (5), while passing for 75 yards and a touchdown, and scoring 42 points again. Heading into the game, Beef linebacker Jesse Robertson’s 38 tackles led the CIF. The week two CIF Defensive Player of the Week added 11 tackles and a tackle for loss against the Force, and spearheaded a defense that forced season-highs in turnovers (2) and tackles for loss (5). The “Beef-ense” held the Force offense to 14 first half points. But two missed field goal returns for touchdowns by Wichita Force wide receiver Clarence Anderson stole early momentum and kept Wichita in the game. His first return was a 57-yarder with 6:36 left in the first quarter. His second, a 58-yard return, came with no time remaining in the second quarter and gave his team a 27-21 halftime lead. But the Beef offense responded with a 3-play, 25-yard drive that culminated with a perfectly placed 17-yard touchdown pass to wide receiver Brian Boro (a former UNO Maverick who joined the team a day earlier), giving the Beef their first lead of the game. As Houghton’s confidence grew, the offense settled in and set the tone in the third quarter, looking as good as it has all season, deftly mixing passing plays with hand-offs to Allen Daniels and Steven Rush. Haughton’s mobility added another dimension to an offense that had struggled to stay on the field in previous weeks. After the Force reclaimed the lead via 9-yard receiving TD for Hubbard, Houghton struck again with a 4-yard run for touchdown. The 35-34 lead halfway through the third quarter was the Beef’s last lead of the game. Reigning league MVP Joe Kassanavoid added a touchdown reception late in the third to give his team a lead they would not again relinquish. From that point on, every time the Force needed a big play, Hubbard delivered. From 6:35 in the third to to 5:46 in the fourth, the Ottawa University product scored three touchdowns, two via run play, one via reception. Hubbard’s stat line was gaudy – 15 touches for 76 yards and 5 TDs. Houghton was game, though, and rallied with an 8-yard run to end the third and pull the Beef to within 42-47. But a 4-yard run by Hubbard with 5:46 left sealed the game. The two players accounted for 10 of the 15 TDs scored; Houghton with four rushing and one passing, Hubbard with 3 rushing and 2 receiving. – LB Davon Bridges stalled a promising Wichita drive when he recovered his own forced fumble at the Omaha 6-yard line on a Force 1st-and-goal. – Allen Daniels had 118 total yards: 53 rushing, 41 on kickoff returns and 24 receiving. – DB Michael Pace’s interception was his first of the year. 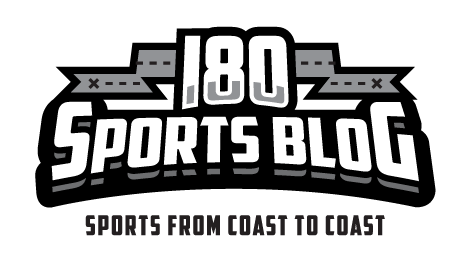 – The Beef were only 4 of 8 on redzone scoring opportunities, but scored 4 touchdowns. – The Beef’s time of possession (34:16) exceeded the Force by 9:32. Next articleKnow Your Beef – Linebacker Jesse Robertson Jr.
Brad Smith: Most Versatile (QB/WR/KR/RB) NFL Player Ever?